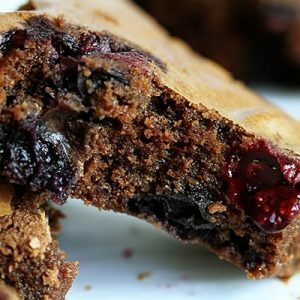 I was scouring the internet for a good blueberry brownie recipe. Some called for brown sugar, which I didnt have in the cupboard… some called for blueberry puree or jam, and I wanted to use real blueberries… some called for creams and liquors, and well, that is just to complicated for me! I dont say that lightly, because I am no daring baker. I am a timid, “Can I really do that?? ?” kinda baker. I like having a recipe to follow. I like that someone else did it before me and already knows its yummy. Someday, I will actually feel comfortable telling people the name of my blog when asked. As far as the end result, I would give them a thumbs up! I like the texture and the thickness and the way the blueberries were peppered throughout and not all globby at the bottom. I might consider a frosting for next time… like a good darkchocolateganache… but I am taking baby steps here folks. Oneof these days I will figure out how to have a button so you can “print” and it will be all nice and organized and easy. Preheat over to 350 and prepare your pan. Now add your tempered egg mixture to the saucepan of blueberries ans mix well. Add in cocoa, flour, salt, and baking powder. Mix until just combined. I put the brownies right into the freezer. People always ask me why I do this and I sorta think it helps to seal in moisture and helps the baked item to keep its shape. I wanted to cut out nice, uniform squares of the brownies, and having them chilled helped crate nice clean lines. If you cant watch just check back later and I will post a link to the segment. 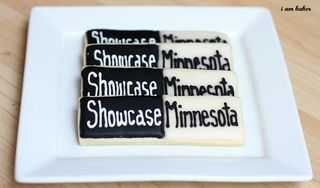 great job with Showcase MN! I love blueberries, and these sound yummy! Hope you had a great time on Showcase Minnesota. 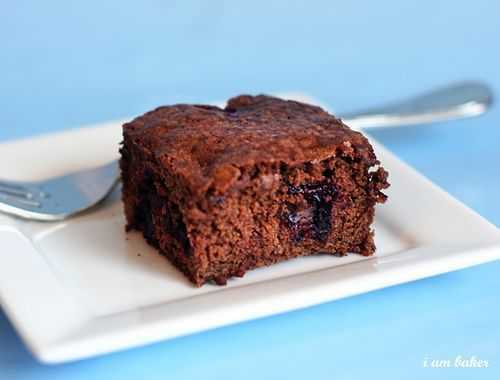 I have never seen berries baked into brownies but what a genius idea. And kudos to you for developing your own recipe. Oh my gosh! Yum! I will definitely be trying these in the near future! 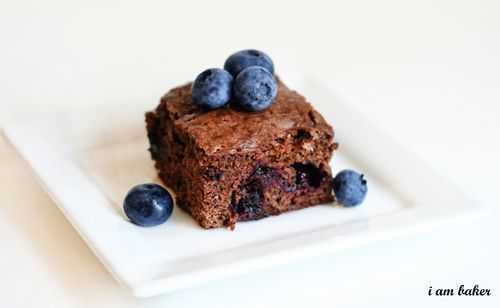 I think your brownies look wonderful… I’ve never heard of blueberry brownies, but I’m intrigued! PS – You should definitely NOT be ashamed of your blog… I think you are an incredible baker, and i always enjoy checking out what you’re up to! How did the showcase go? Is there a link? Can you tell vacation threw me for a loop and I am WAY, WAY behind on blogs? Can I ask anymore questions? 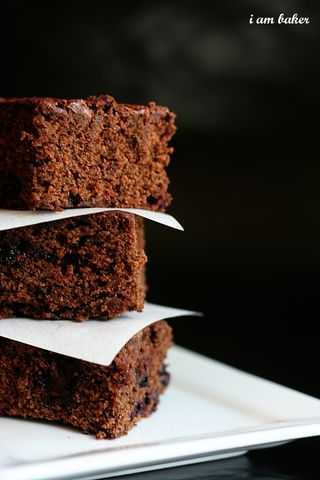 I’m about to make these for the second time, they were some of the most delicious brownies I’ve ever made! The blueberry addition is genius and really improves the whole thing. these are Really Good!!! I don’t think I would have even thought to make blueberry brownies, if it wasn’t for my 9 yr. olds’ suggesting if I could make blueberry brownies. I think they taste great just the way they are without anything added to them. My husband even liked them, which is a rare thing for him. 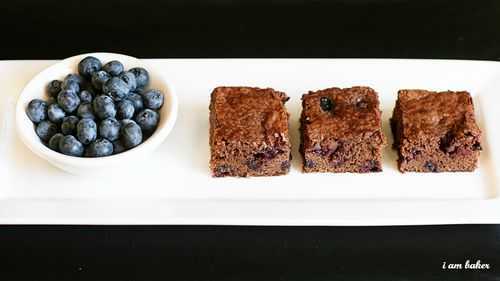 Thanks for sharing & daring your own recipe on blueberry brownies!! What size pan did are you using? I’m thinking of doubling the recipe and using a 13 x 9. I hope my assumption is correct!